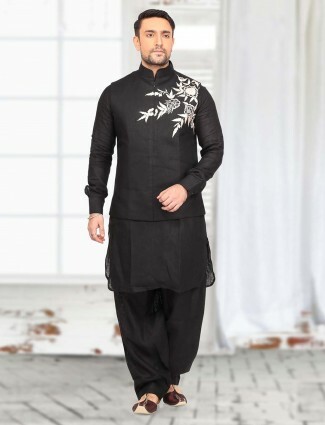 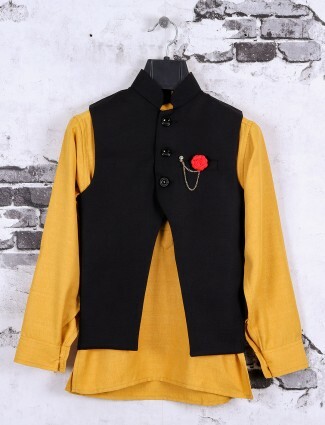 Attractive look in this black raw silk fabric designer flower printed waistcoat set for party function. 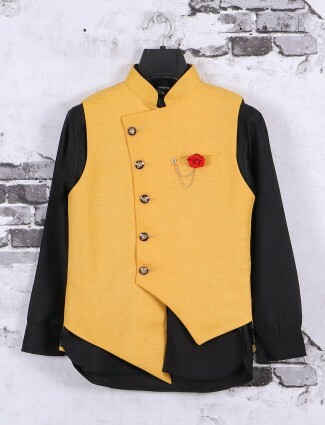 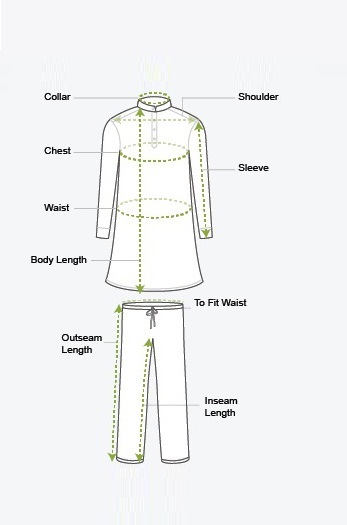 It has stand collar, full button placket, full sleeves, welt pocket with tie and crossed hem. 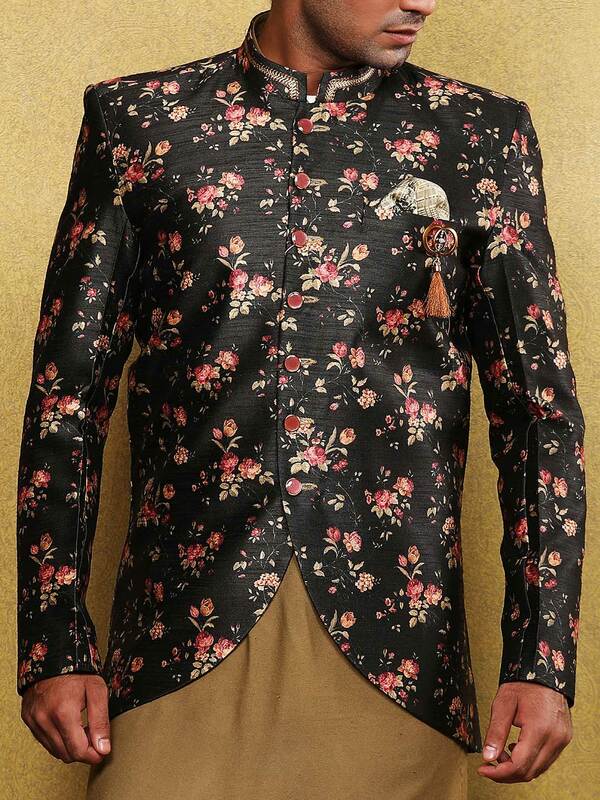 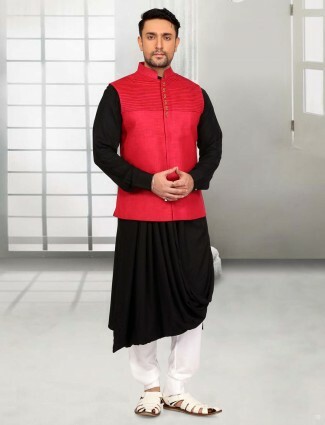 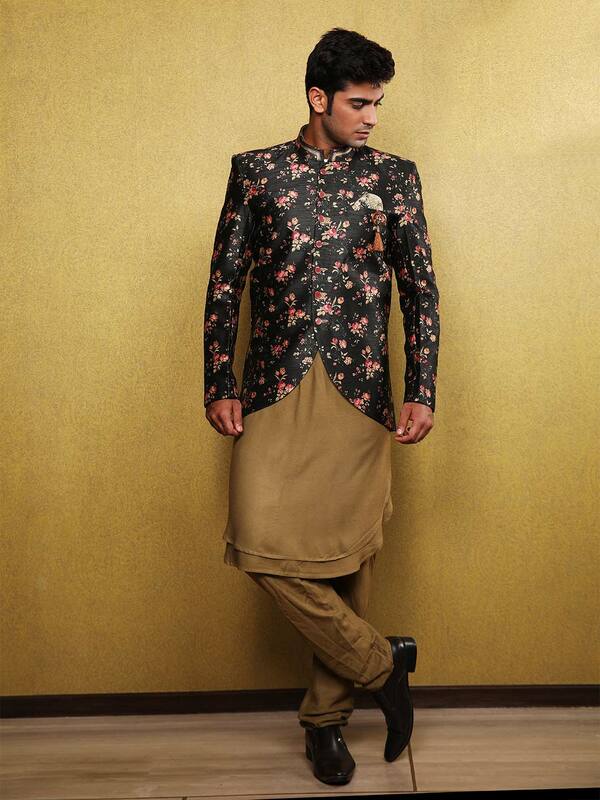 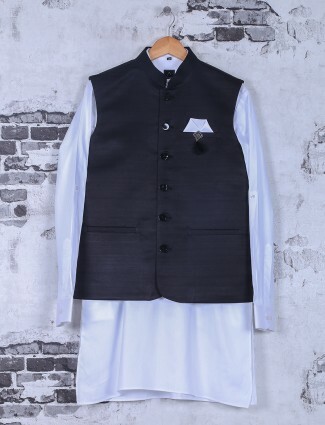 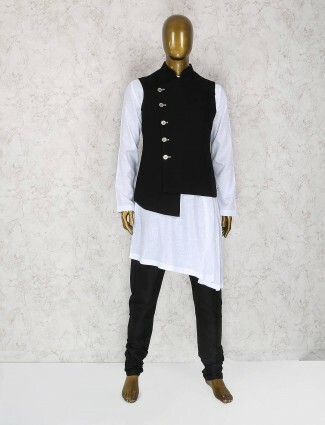 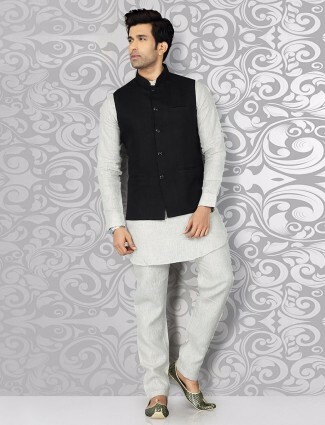 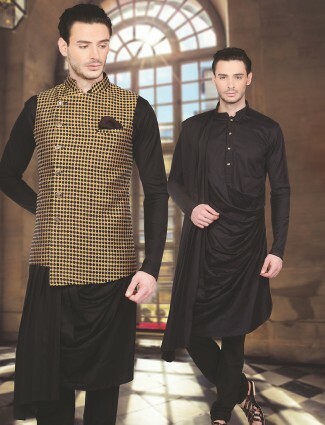 comes with beige hue double layer pattern kurta suit.